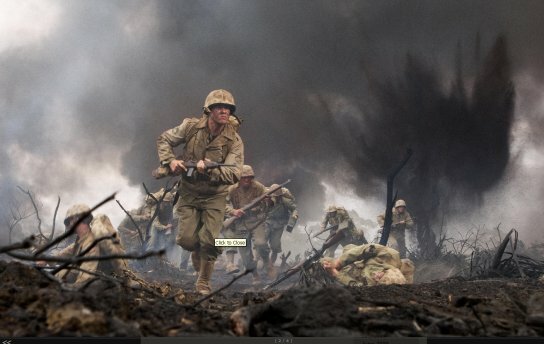 I’m so happy I was able to watch the new TV series on HBO Asia, “The Pacific” labeled as the most expensive TV production in history with the astounding $200 million budget. Produced by Steven Spielberg, Tom Hanks, Gary Goetzman, in collaboration with HBO, Seven Network Australia, Playtone, and Dreamworks, the series aired last April 03, 2010, at 9pm (Holy Week!) on HBO. I was able to feel an equally spiritual catharsis brought about by Pacific and the Easter season. The Pacific is a ten-part miniseries about World War 2 which stars James Badge Dale as Robert Leckie (He looks a lot like the Glee guy! Go figure!) 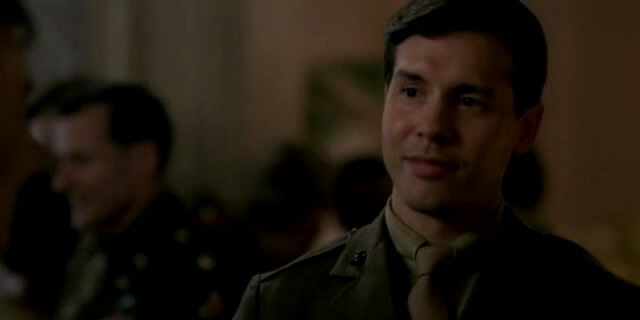 and Jon Seda as John Basilone – two of the many Marine soldiers who fight in the Pacific during World War 2. The Pacific echoes another HBO TV series entitled Band of Brothers, first released in year 2001 (I was only 12 years old during this time! ), only the latter was about US Army soldiers in European theater of war. In fact, The Pacific is usually referred to as “the companion miniseries” of the Band of Brothers, maybe because these two hit TV series were both spearheaded by Steven Spielberg and Tom Hanks (as you must know, Spielberg and Hanks once work with each other in a war movie Saving Private Ryan). Band of Brothers was based on a novel by the historian/biographer Stephen Ambrose and on some combatants’ memoirs in Easy Company veterans, and the series centered on the lives of US soldiers in E (Easy) Company of the 2nd Battalion, 506th Parachute Infantry Regiment as they were assigned to the 101st Airborne Division in the US Army. The Pacific, on the other hand, was based on two accounts of two Marines. One was Eugene Sledge’s classic account of the Marines in his work With the Old Breed: At Peleliu and Okinawa. This memoir, published in year 1988, accounted for Sledge’s experiences while he was in a part of the Company K, 3rd Battalion, 5th Marines, 1st Marine Division and the wars he fought with other Marines at Peleliu and Okinawa. Another one was Robert Leckie’s Helmet for my Pillow, a retelling of the war of US against Japan. The two memoirs centered on the lives of the United States Marine Corps in the Pacific. The first two episodes were directed by Tim Van Patten (episode 1) and David Nutter (episode 2). The battle on Guadalcanal where the Marines tried to cripple Japanese fleet was featured. After I watched these episodes, I could already feel how provocative the series for it contained the undertones that were familiar in many realist films, the riveting tale of a stirring war story. I noticed that I’m beginning to root for war stories and movies because I believe that one can find the most profound human experiences of life. I’ve read war books like Jarhead by Anthony Swofford, Theory of War by Joan Brady, The Bridge Over the River Kwai by Pierre Boulle and many more, and my favorite war movies include Apocalypse Now directed by Francis Ford Coppola and Saving Private Ryan by Steven Spielberg. I realized that what drew me to these war stories is the profundity of human experience – the astute psychological explanation on how a war can shape Man’s consciousness about death and living. Life is never the same again, I say. Recently, I came across with a philosophy book about treatises about wars. In his essay “The Greatness of War”, an excerpt from Politics, German historian Heinrich von Treitschke once said that in a war setting “…the individual must forget his own ego and feel himself a member of the whole, he must recognize how negligible is his life compared with the good of the whole.” That is what I distinctly find common in war stories. Everyone becomes one to function as a whole. Even more than that is the exploration on how does it feel to sleep in trenches and dreaming about home, sick, half-starved, over-fatigued, terrified, being pressed against the demands of what to do and what you don’t like to do, and being confronted by real situational features when friends become foe, the sudden change of behavior of men at war. These conditions, one way or the other, foster Man’s view on human fatalism and compound Man’s doubts about humanity. Then Man will be depicted as a skeptical creature in the backdrop of war, the savage, brutal, and violent activity. Even though some people see this as a kind of negativism, I appreciate war stories because it moves me and it brings out the necessary cathartic feeling that a person should feel once in a while. Sigh. Harrowing stories are considered tour de force, and war stories are probably the best manifestations for that. The Last Samurai, The Thin Red Line, Tears of the Sun, etc. He deftly creates an atmosphere for The Pacific, so that viewers would be able to feel the many layered tones brought about by different scenes of the miniseries. 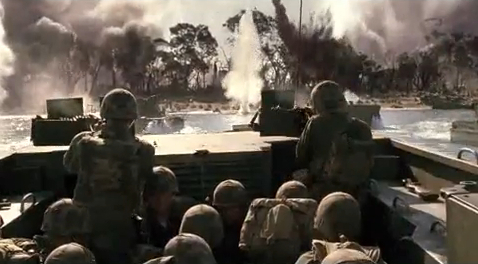 right in front of your face.” True, it’s a realistic depiction of a war tale. 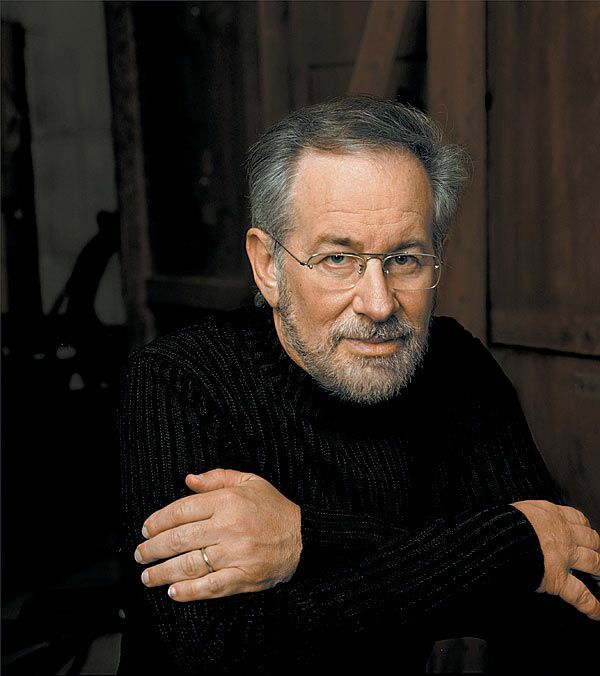 Something to expect from Spielberg. I wish the Japs can produce something on their own too, if ever they may feel that US filmmakers might dwell too much on the realms “that concerns them”. One of the coolest TV shows that I’m currently enjoying is entitled The Duke, hosted by Marc Nelson, Rovilson Fernandez and Eunice Olsen. Of course, the boys (Marc and Rovilson) are quite familiar to me, because they represented the team Philippines in the AXN’s Amazing Race Asia Season 2. It’s a men’s magazine show – and most of the topics concerns men, but girls are welcome to eavesdrop, hahahha. Seriously, the topics that they featured in the show are interesting and entertaining – metrosexuals, battle of the sexes and fashion features. 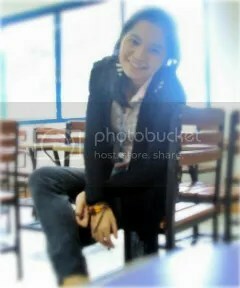 Last week, the topic was all about metrosexual and I like the discussion, hahaha. And they also feature a famous figure in their duke-of-the-hour segment. It’s a funny mix of lifestyle, fashion and an exploration of what makes a man “a duke”. 🙂 Cool. It’s the latest AXN original production. I love James Roday in the American comedy drama Psych. He plays the role of Shawn Spencer, a fake psychic who works for Santa Barbara Police Department (SPBD). I don’t really know why he’s faking it though, although I can tell you that he’s really convincing. The truth is, he has the makings of a great detective, and he has impressive observational skills and excellent deductive reasoning in a not-so-boring way. But why would he fake it, that I really don’t know.